So far May has been an incredible month. I am truly lucky to be working with clients who are creative, attentive and extremely appreciative of the work we put in. Today I want to highlight two other vendors that I constantly work with that deserve the spotlight for their dedication to their craft. I was happy to join them to be a part of Fiona's 1st birthday celebration at Brooklyn's Vis A Vis. The fantastic women of Sunshine Flower Shoppe & Couture Creations put together a tropical setting complete with flamingos and perfect accents. Scroll through the gallery for endless 1st birthday inspiration. 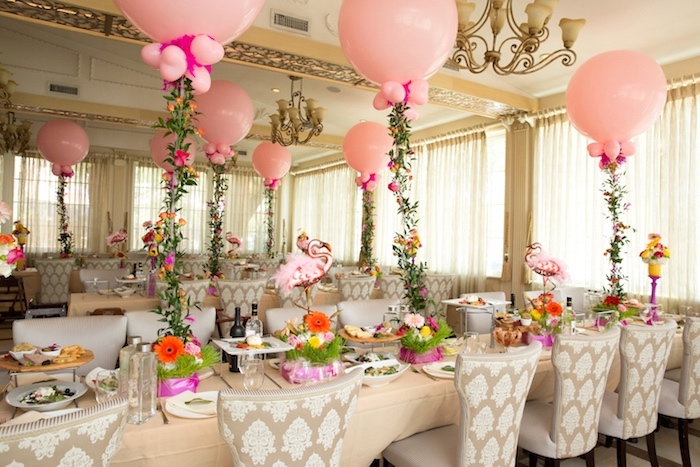 Photos c/o Kara's Party Ideas & Matt Levy.